As a nation we probably never gave much thought to “green living” until the advent of Earth Day in April of 1970. Back then the earliest Earth Day advocates all wore Earth Shoes and braids and were labeled as tree huggers. Everyone laughed at Al Gore when he spoke of global warming. But then the terms living “green” or “leaving your carbon footprint” gradually became part of our vocabulary. Now Earth Day is celebrated annually on April 22nd. You might incorporate some “green living” into your everyday life already – that’s good because every little bit counts toward preserving Mother Earth. But how much effort do you put forth into making your largest asset, your home, greener? By incorporating some green ideas into your everyday life and residence, you not only help out the environment, but you will reap many other benefits as well, including: 1) adding value to your home; 2) reducing energy use and costs; 3) fighting climate change; and 4) most importantly, you will be protecting your health by making your home a healthier place to live. 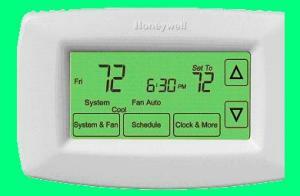 Inside your home – The biggest expense for your home is your utility bill for keeping your house cool. In the Phoenix area, that could sometimes account for a big part of your budget, given those four or five months filled with 100+ temps. But not to worry, because there are a few things to minimize drafts of any type – warm air drafts in the Summer months and chilly air drafts when the nights dip down in the 40s in the Winter months. Be diligent about maintenance by scheduling a twice yearly visit by a reliable HVAC contractor to have your furnace and air conditioner checked and maintained, plus, take a walk around your home at least twice yearly, pausing to ensure all gaps at doors and windows are totally sealed to prevent hot or cold air from infiltrating your rooms. Both of these maintenance measures will help ease that incredibly large Summer utility bill and cut down on the Winter bill as well. Installing a programmable thermostat to adjust the air temperature for hours when the home is vacant, like during the work day, will boost your savings as well. Your home’s ventilation system should be in tip-top shape so that fresh air can be ushered in as often as possible. A good ventilation system will cut down on moisture in the house and prevent mildew from forming in moisture-prone areas, like the bathroom. Using large ceiling fans or window fans, or by simply opening a window, when the cool air finally settles in, will allow that A/C unit to get a breather and lower your utility bills significantly, and clear out the stale air in the home as well. If you find yourself in need of a new heating and cooling system, insist on getting one with the ENERGYSTAR label which means it has peak efficiency thus cutting down on high energy costs. Solar power is the way to go if you are really enthusiastic about saving on energy bills. You might consider harnessing the power of the sun and using solar energy to heat your home during the chilly Winter months. A consultation with an architect or a home remodeling contractor who specializes in green design in Phoenix, would enlighten you as to whether this would be doable with your home and/or roof. Passive solar cooling is planting shade trees on the south and western side of your home to provide natural shade during the warm or hot-weather months. Although the burden of going green lies with your energy usage for heating and cooling as detailed above, do try to take strides to continue with the “green” theme throughout the house. 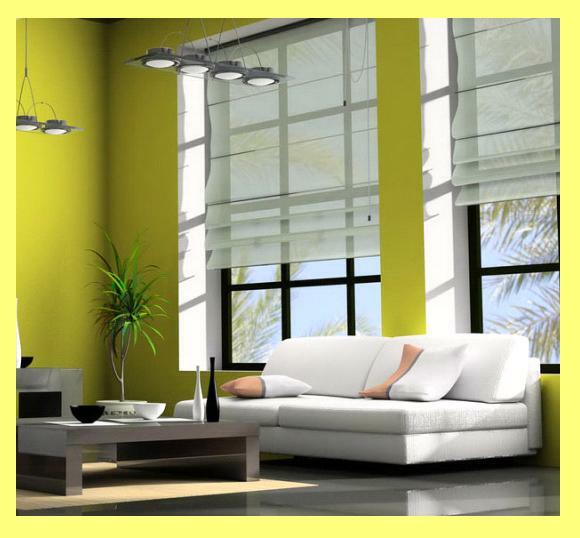 It is important when selecting furnishings, flooring and window treatments for your rooms that you try to choose environmentally favorable products. Furniture should be constructed from hardwoods or repurposed/reclaimed woods, and fabrics made from natural fibers as opposed to recycled content. This is due to the harmful toxins found in recycled products (like plastics and fiberboard) which results in indoor air quality issues. These toxins are called “volatile organic compounds” or “VOCs”. It is hard to imagine that a particleboard cabinet or a shower curtain liner could contain harmful ingredients, but they are constructed from recycled ingredients and are not healthy to have in your home. If you’ve ever unwrapped a package containing a plastic shower liner in it, you no doubt got a terrific whiff of the plastic smell. These are the VOCs. They are everywhere in your home. A typical fiberboard cabinet contains particles made from recycled materials, then it is constructed with glues or adhesives to hold it together, then it is finished by applying a lacquer. Carpet is another culprit, as is furniture upholstery, both which often contain the same harmful ingredients – do not think just because the sofa cushions are soft that they are deemed safe. You should always purchase products that contain either low or no VOC finishes and adhesives. With flooring, the trend is leaning toward natural wood flooring, more than wall-to-wall carpeting or area rugs. Aim to get natural hardwoods or reclaimed lumber whenever possible for your home’s flooring. Your garage might also be a site for potential VOC ingredients to languish. But, it is also a place where harmful gas emissions from yard tools and your automobile might taint the air. When doing an exterior check of your home for drafts or air leaks, be sure to include a look-see of your garage as well. It is important not to store any type of toxic chemicals in your garage. Certain paint solvents, pest management sprays or other hazardous materials could be toxic should their containers be accidentally opened or spilled, especially in an attached garage – toxic fumes would quickly circulate to your home. Most people store hazardous materials in the garage away from the home, but if you don’t have a garage, the most-likely storage area would be the basement. If this is the case, regularly inspect your basement to see what bottles and cans are lurking down there, being careful to ensure a past-due date on any one of those materials would not cause a combustible incident. Also, when storing chemicals in a garage and/or basement, one should always take greater precaution that children and pets cannot gain access to the materials.